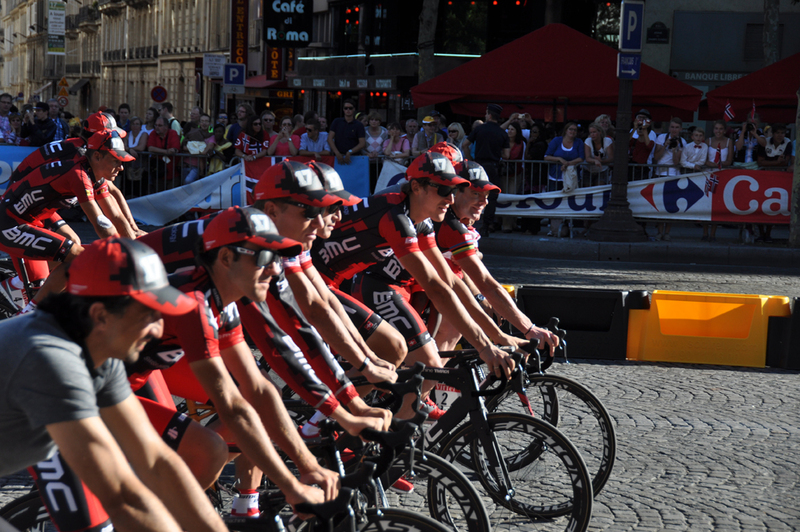 Flat stages are a blur of motion and tire hum; mountain stages are slow enough to study each riders face; somewhere in between lies the last, largely ceremonial stage of the Tour de France as the remaining riders roll into Paris. 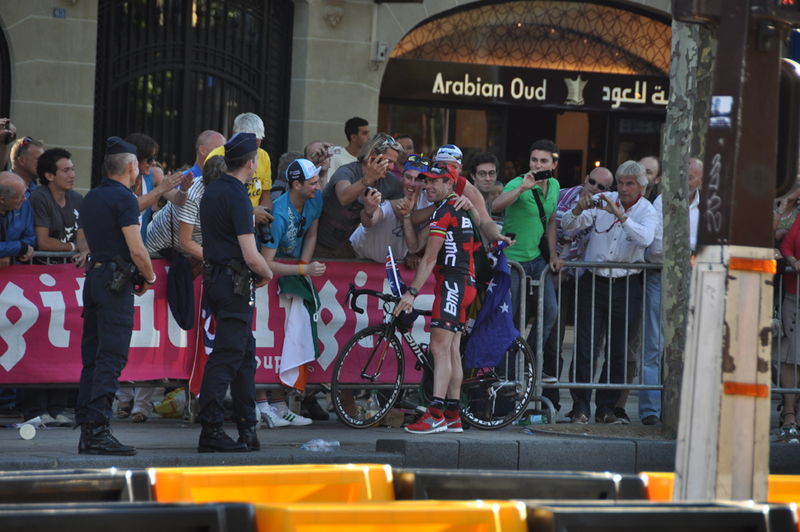 No matter where you watch the Tour, it will always end before you want it to. 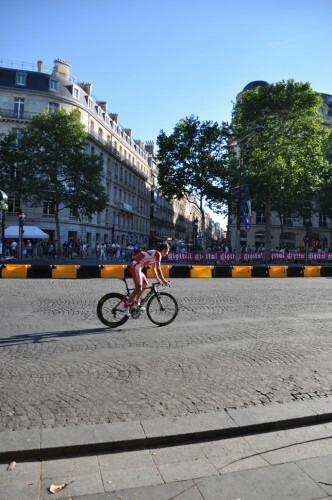 Kristi, our new French friend Ben, and I posted up on the edge of the Seine in Boulogne-Billancourt, an adjoining neighborhood to Paris, just after the race course crossed the river Seine and took a hard 90 degree turn to come in on a major road to follow the river bank all the way to the Eiffel Tower and the Champs Elysee. 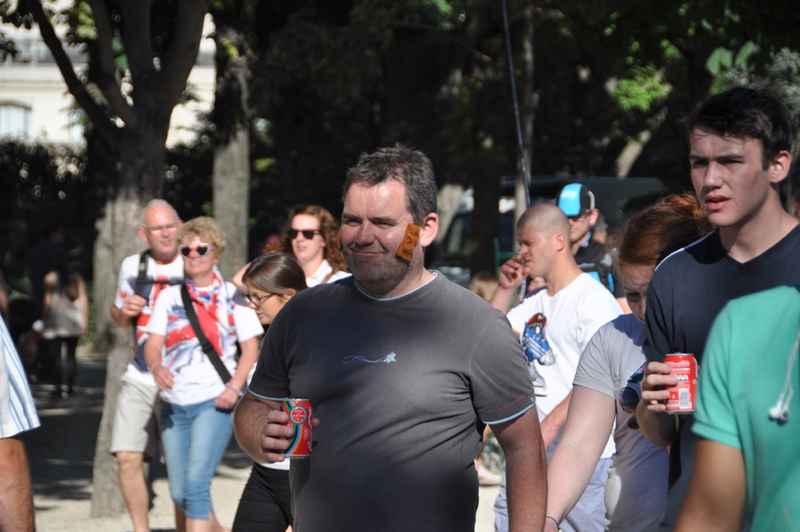 Kristi enjoyed her first experience with the promotional caravan, and I finally scored a cow keychain that I somehow missed the last two stages. 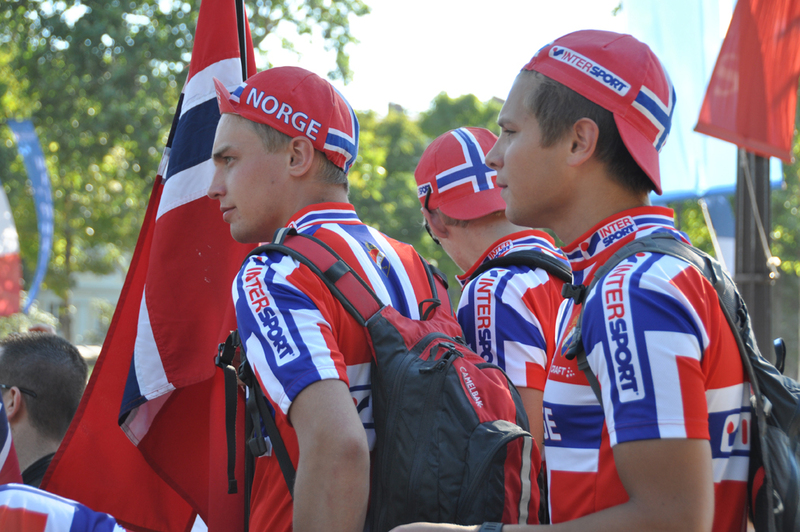 We waited with excitement as the helicopter noise grew louder, signaling the approaching peloton. 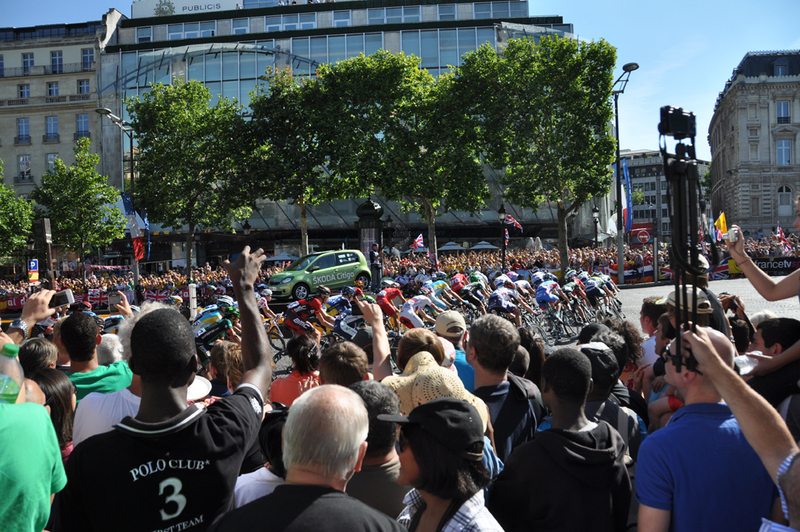 I set our camera on the curb to capture the experience of being passed by the Tour: anticipation building with each passing motorcycle and official vehicle, the wave of applause as the riders drew close, and the high roar of carbon fiber and aluminum as the peloton hums past – lasting only 10 seconds – followed by the pack of chase vehicles stacked high with back-up bikes. 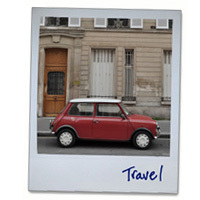 It’s unedited so you can feel the entire experience, curbside. 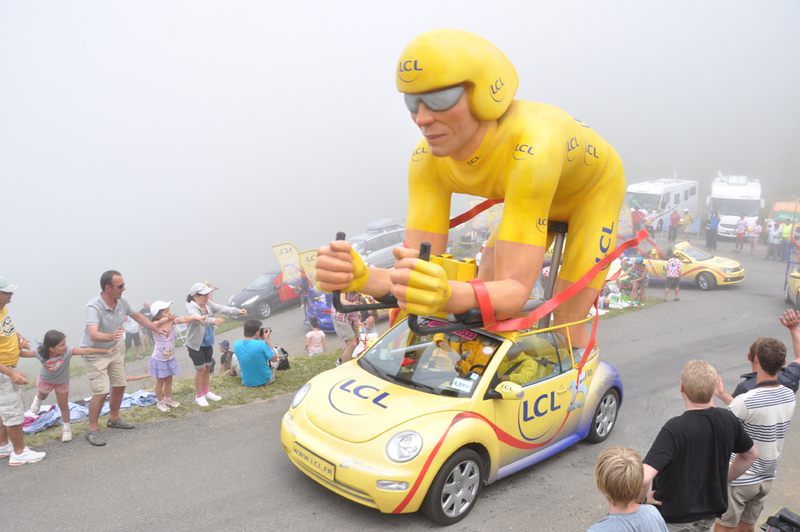 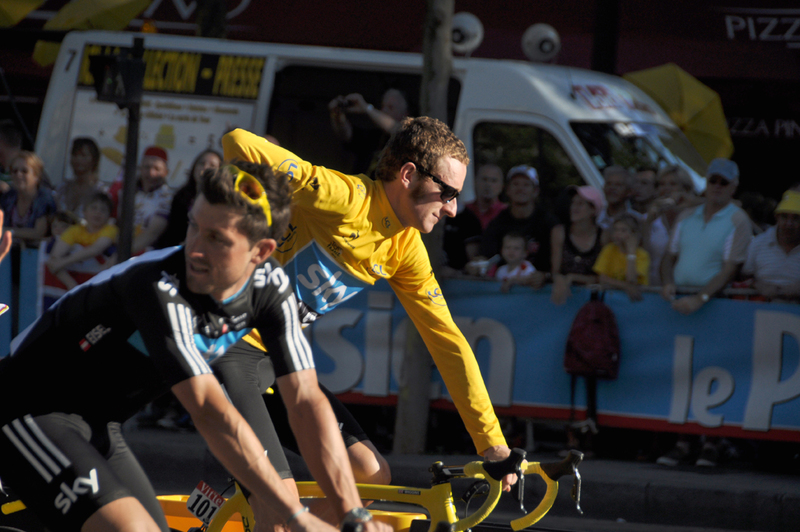 The peloton passes at 2:45–watch for Bradley Wiggins in the yellow jersey at the head of the group. 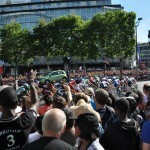 Kristi had to catch a train to London, but Ben and I jumped on our bicycles and road to the Champs Elysee where the final kilometers of the Tour are performed in front of a massive crowd lining the perimeter of the historic boulevard. 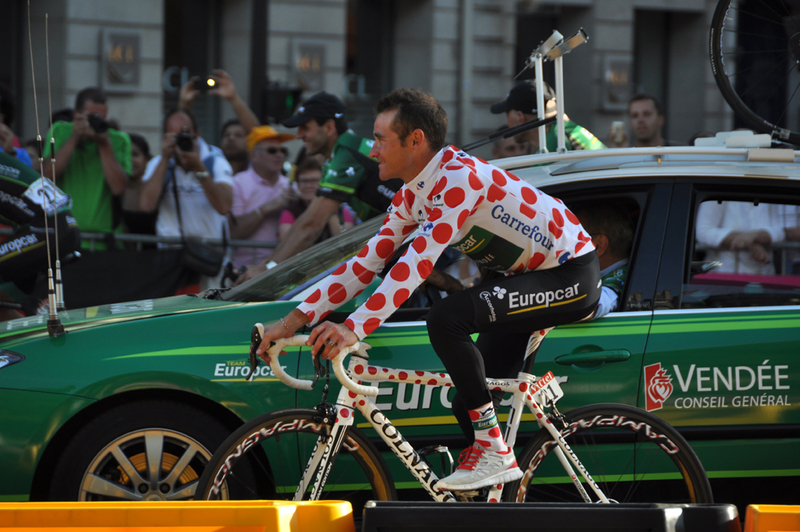 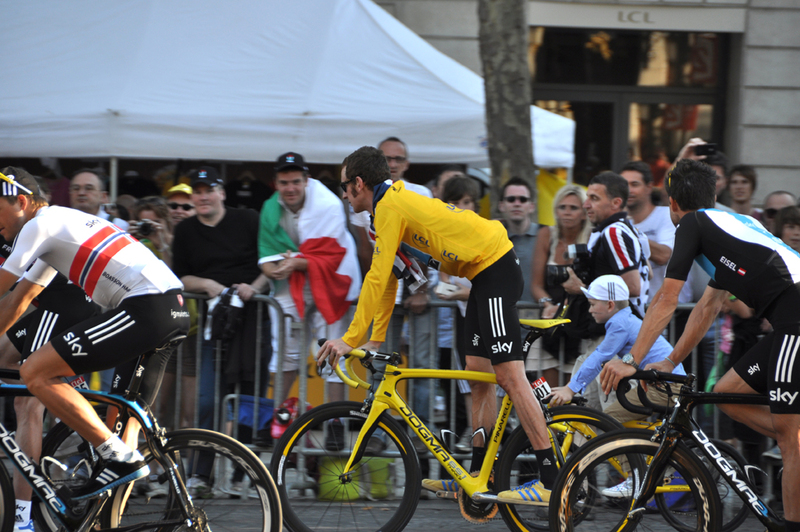 We watched them pass twice before we heard over the loudspeaker in French that Mark Cavendish – a Brit – had won the final stage for the fourth year in the row and had won his 23rd stage, surpassing Lance Armstrong and only 11 shy of the all-time record set by Eddy Meryckx in 1975. 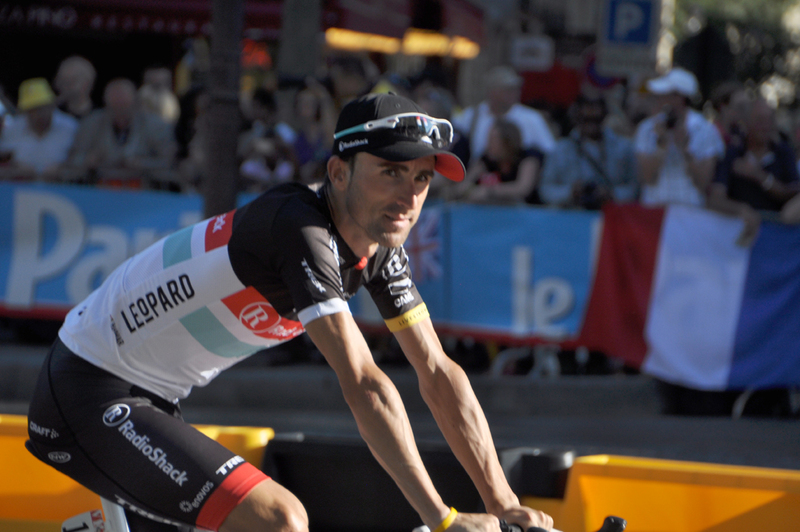 At only 27, he’s likely to surpass that record as well. 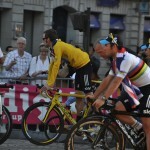 Bradley Wiggins confirmed his place in the annals of cycling history as the first Briton to win the Tour de France, just weeks before he will defend his Olympic gold medal in his hometown across the Channel. 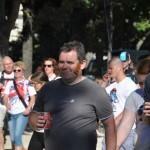 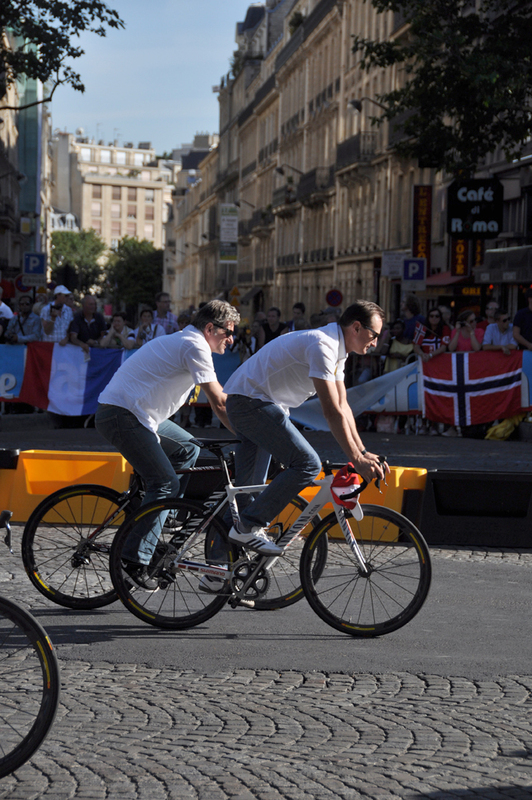 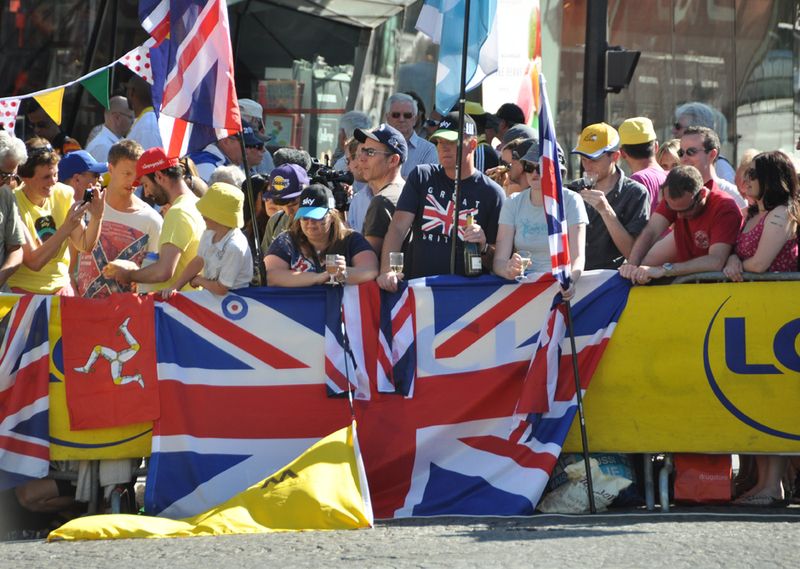 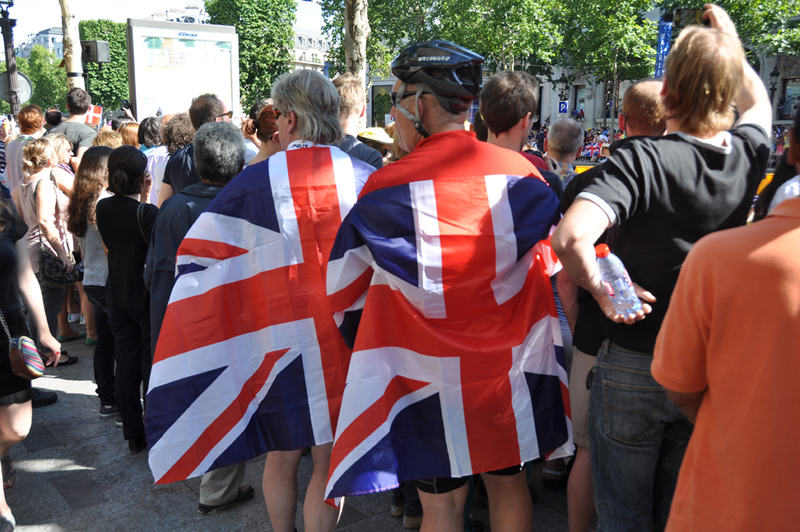 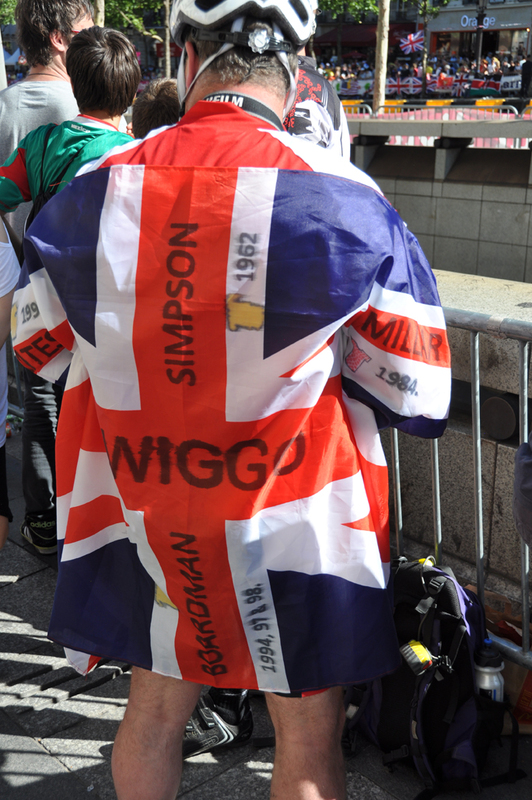 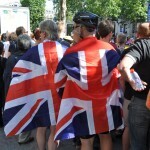 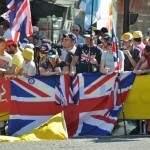 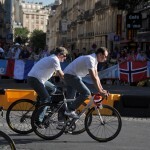 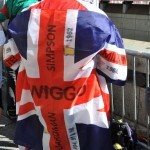 Britons had traveled to Paris in record numbers to witness history, evidenced by the number of Union Jacks and trademark Wiggo sideburns seen in the crowd. 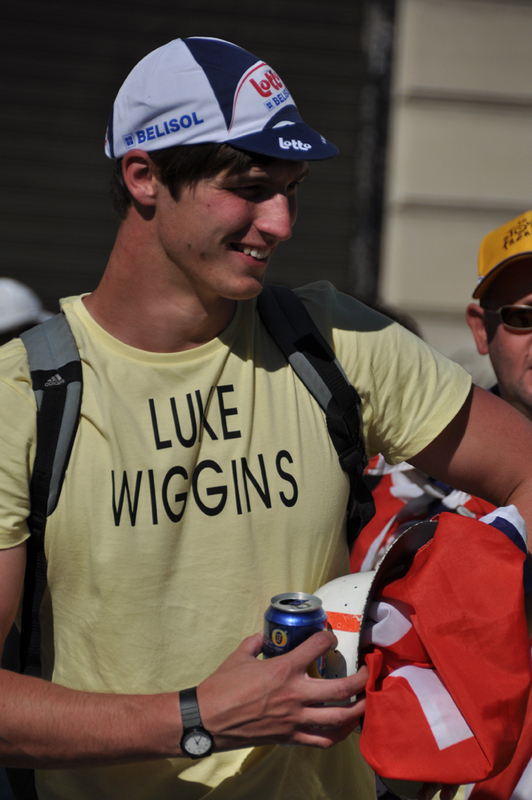 Despite having yet another foreigner claim the title of their sacred Tour, the French appear to like Wiggins: he’s humorous, a great sportsmen, and fluent in French. 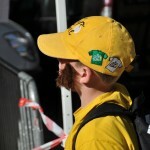 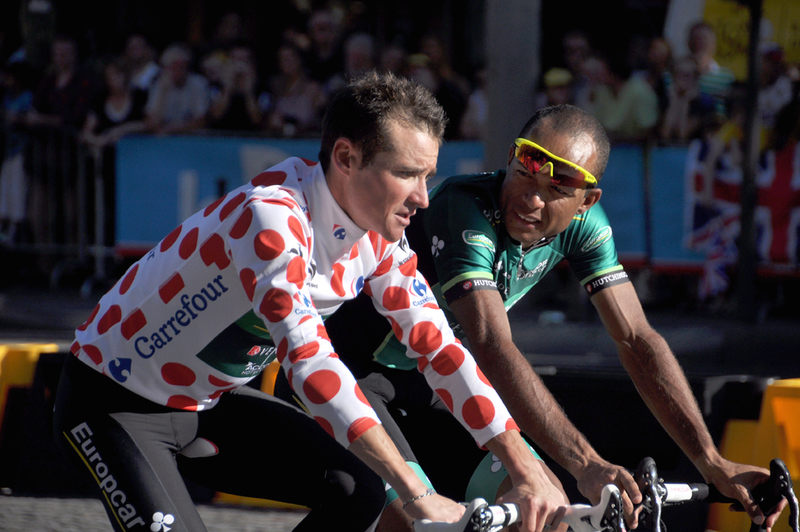 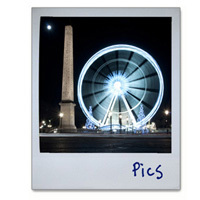 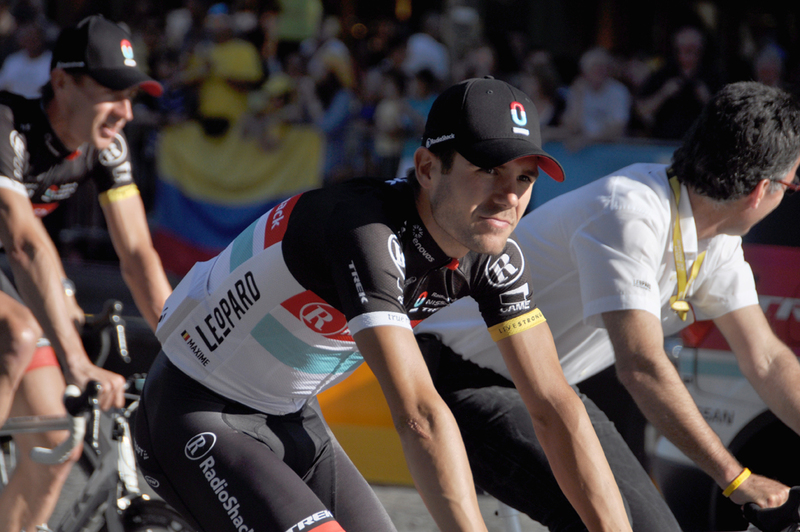 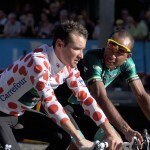 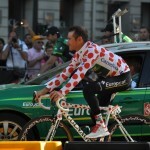 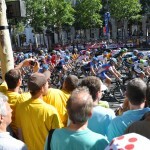 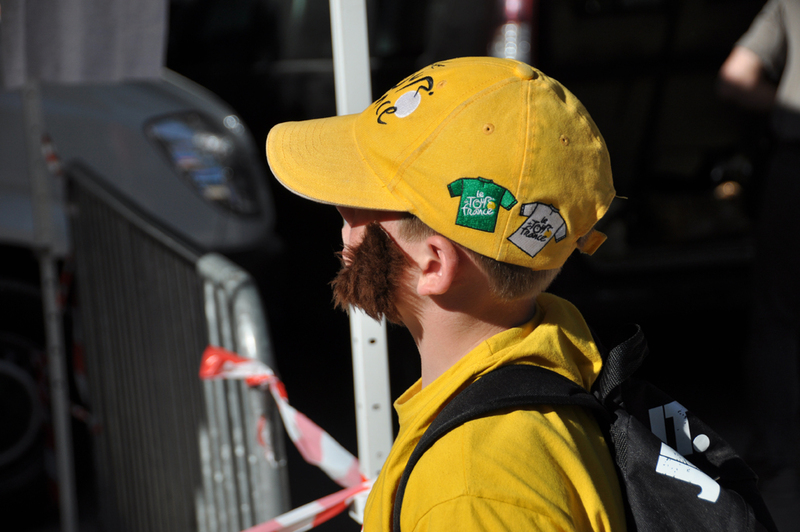 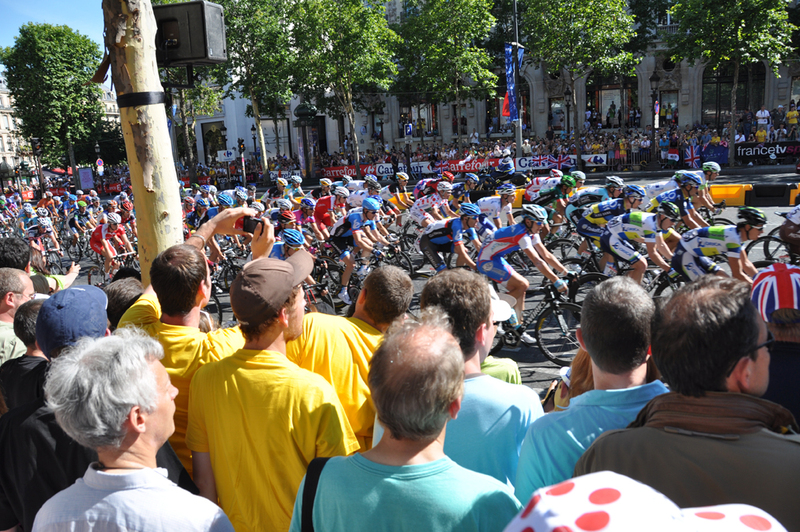 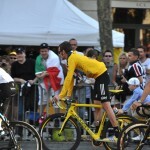 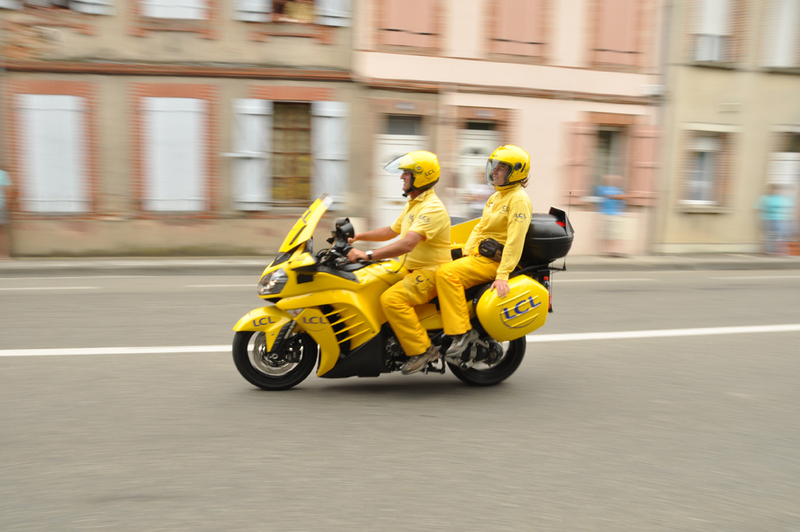 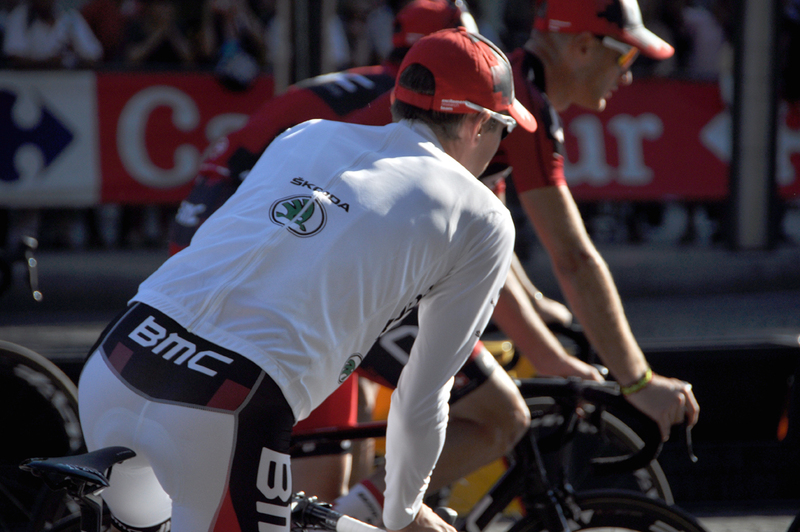 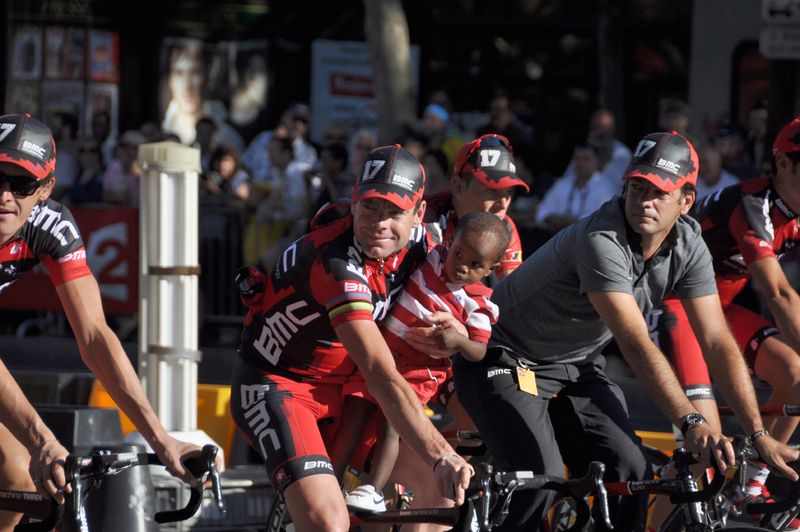 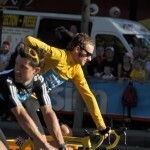 Each team paraded slowly around the Champs Elysee to bring the yellow velvet curtain down on the 2012 Tour de France. 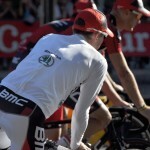 Another great blog Adam. 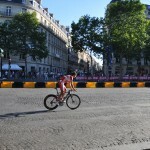 Great photos and video too! What an experience! 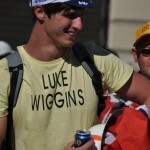 Totally jealous. 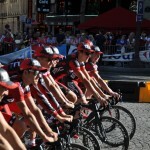 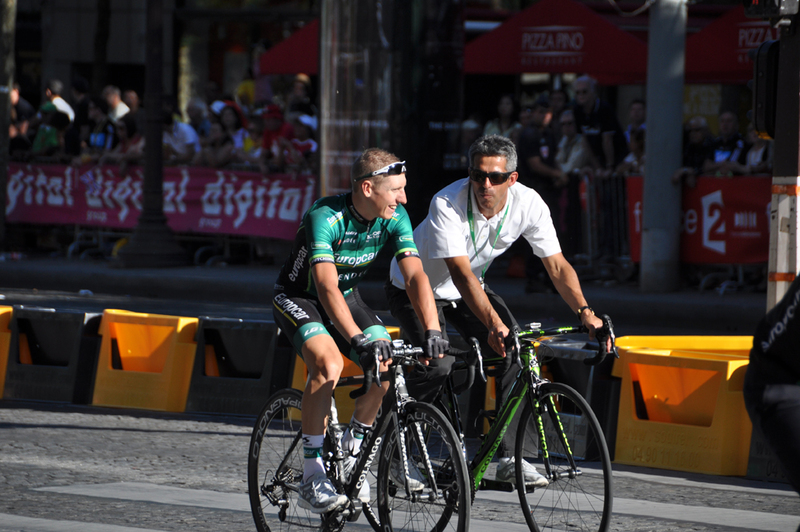 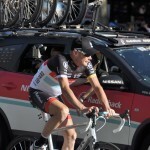 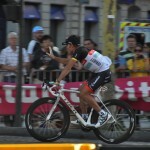 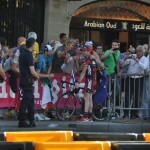 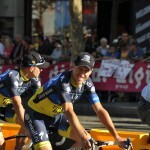 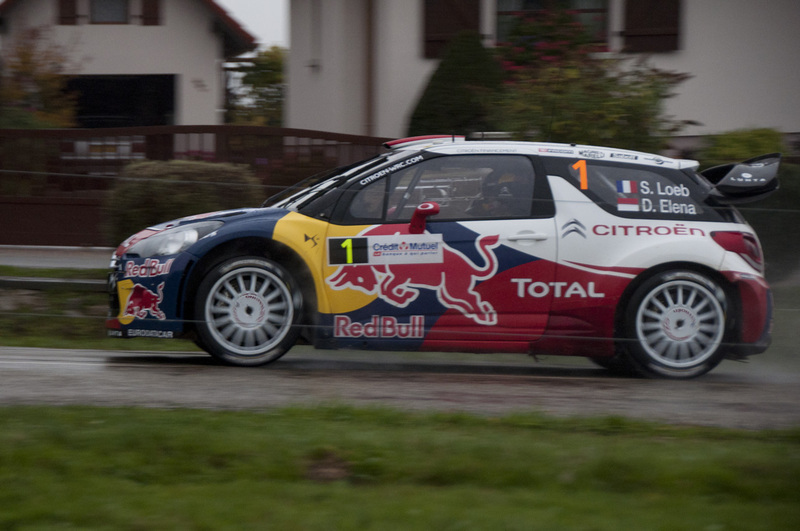 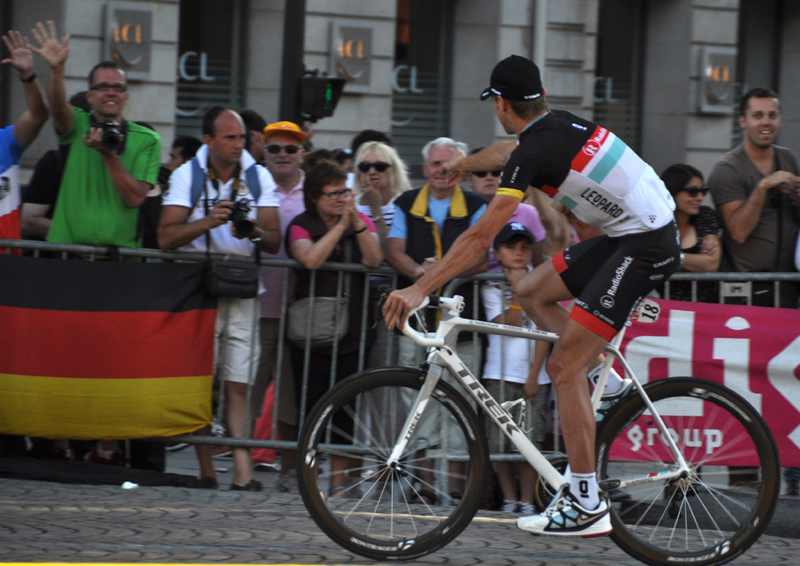 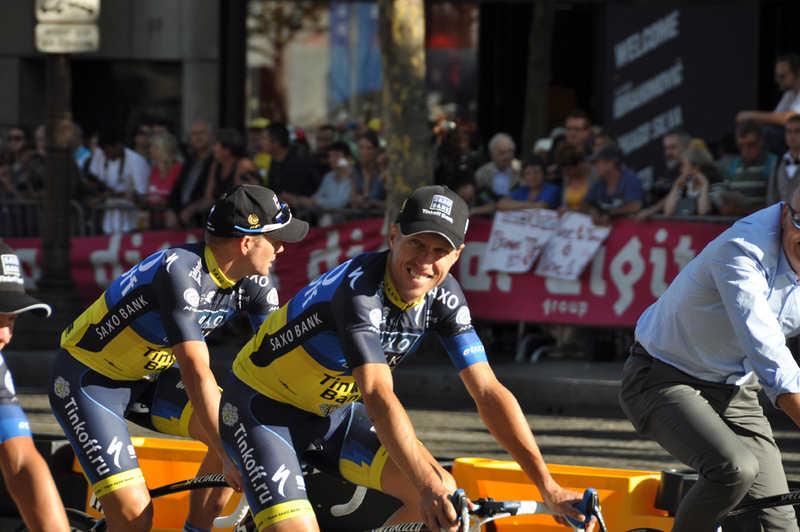 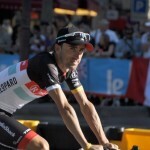 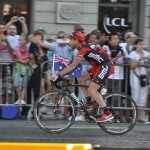 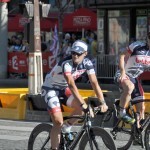 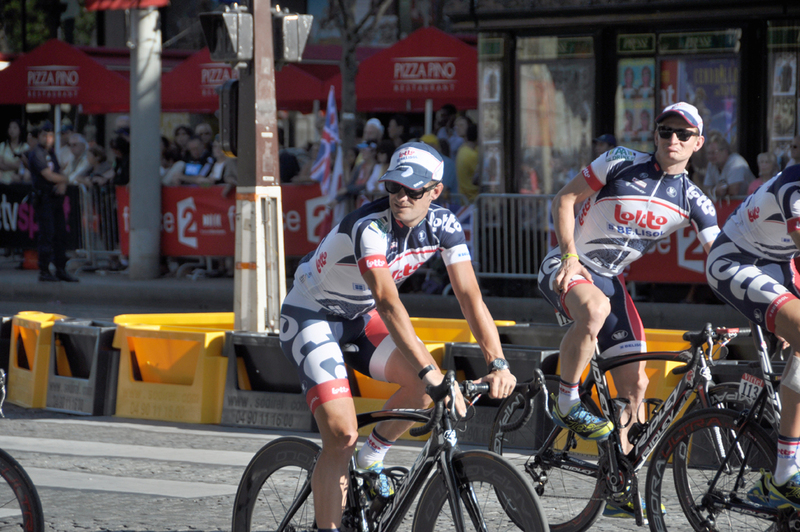 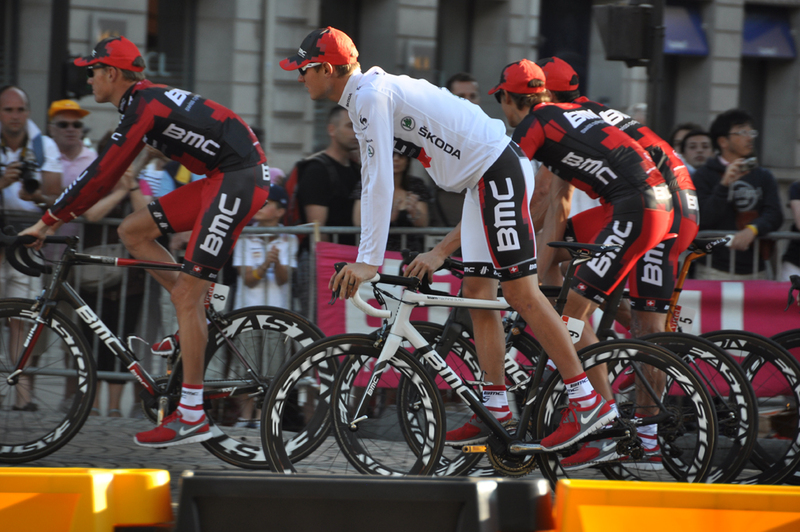 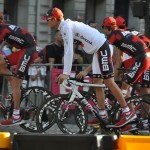 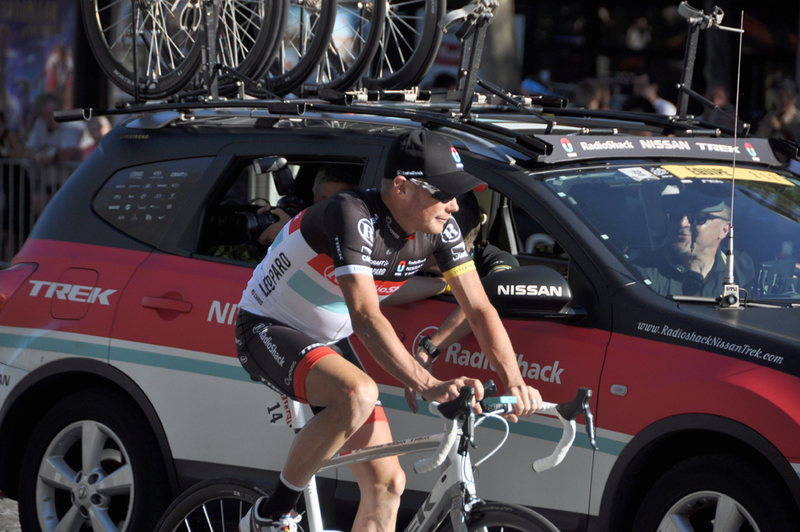 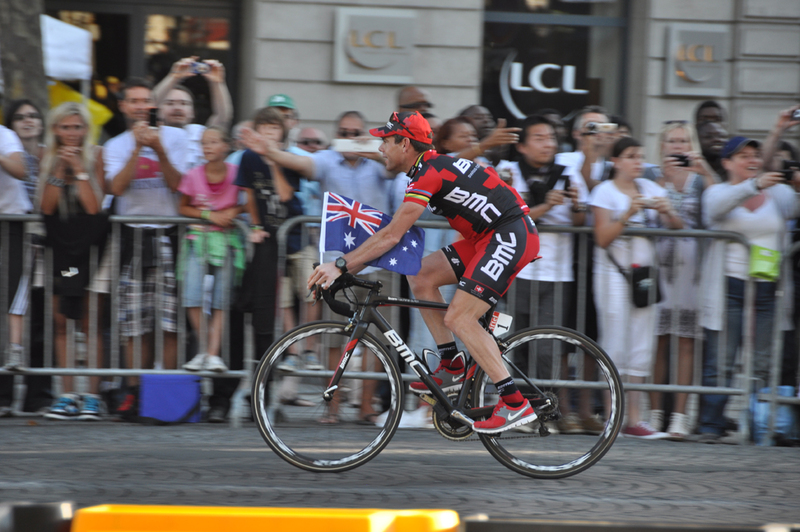 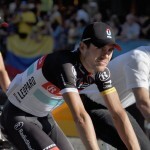 Great pics and great audio of Kristis Scream as the riders passed. 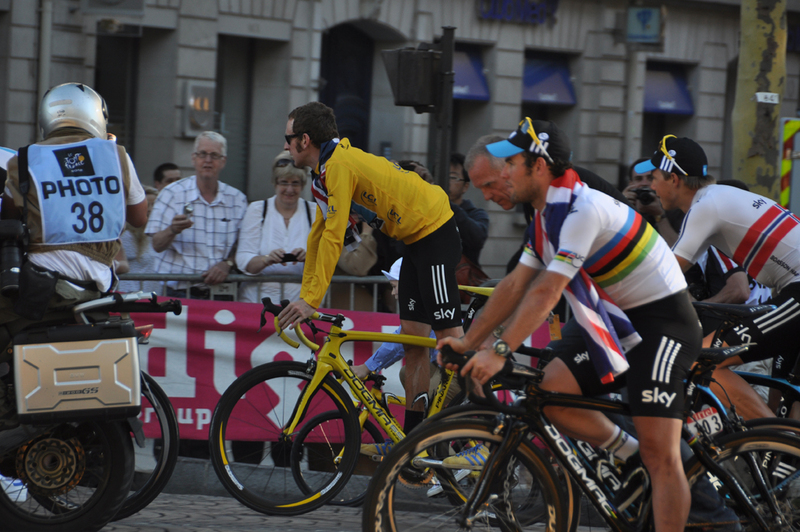 That was exciting. 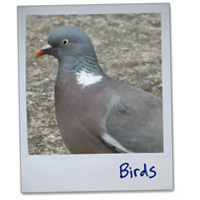 I think I ate some gravel when they flew by.